CoreLogic India, a part of the Fortune 500 honored Cognizant Technology Solutions, is a leading provider of offshore transaction and technology services to the Real Estate and Mortgage Industry. 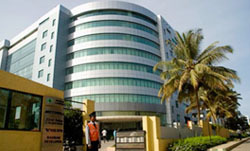 Having more than 6,000 professionals with offices in Bangalore, Mangalore and Hyderabad, FIC provides specialized offshore services in Software Development, Research & Analytics, BPO, KPO, Contact Centre and Technology Support for the mortgage industry, and CoreLogic Bangalore also helps to deliver business information to many of the leading financial institutions in America. Being a part of Cognizant Technology Solutions that has been honored as a Fortune 500, CoreLogic intended to have a tool that helps employees to manage the high volume of visitors throughout the year and to provide a highly secured workplace. In addition, a sound approach to the calls and queries flowing in its operations in India was also a dire necessity. eFACiLiTY® – Helpdesk and Knowledgebase provides an efficient internal support and service platform that effectively addresses and resolves the issues of employees by furnishing vital information on standard / approved solutions and past solutions history for faster resolution of calls from the centralized Knowledgebase. eFACiLiTY® – Visitor Management System renders a very powerful security platform that screens / registers / monitors visitors inside the premises ensuring a secured and propitious environment in their organization. CoreLogic India found SIERRA's eFACiLiTY® – Enterprise Facilities Management System to be innate and comfy. This cogitation made eFACiLiTY® modules – Helpdesk and Knowledgebase System and Visitor Management System operable at FIC operations – Bangalore, Mangalore and Hyderabad.